Jane Austen, Zzzzz Research Participant? Jane Austen, Action Doll, arched her back, stretching her arms widely. She rolled her head, then shook it a few times. "This new job came at the perfect time," said Jane, getting back into bed. "These past 25 weeks have completely tired me out. Once this project is done, I shall return to my writing. An idea is brewing." My theme for this year's challenge is Jane Austen, Action Doll, Seeks a New Career. 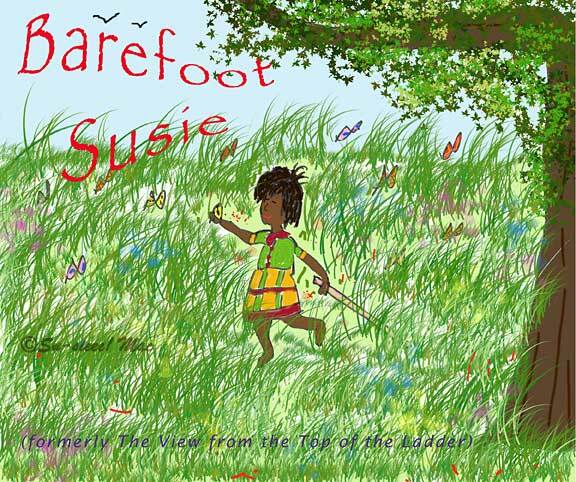 To check out other A to Z participants, click here. 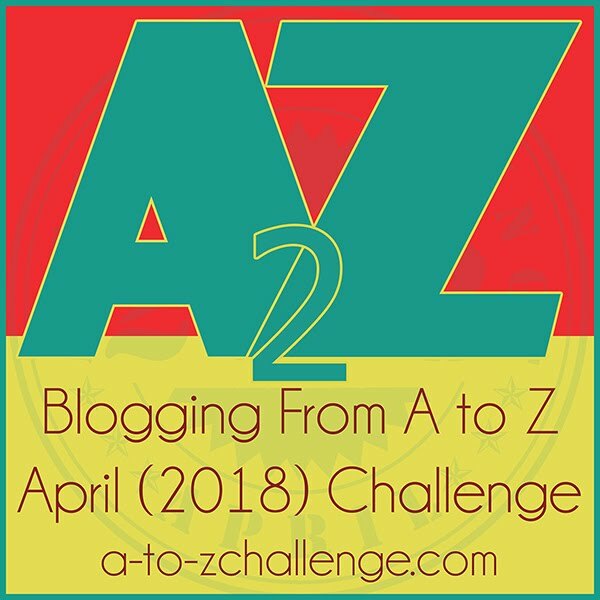 To learn more about the 2018Blogging from A to Z April Challenge, click here. Jane Austen, Action Doll, sighed. "That Lydia," Jane mumbled. "She never puts the ladder away. If only I could fire her and Wickham. They are horrible workers." "Perhaps I could get myself transferred from this rail yard," Jane thought. Jane Austen, Action Doll. "In my day it would be scandalous for a woman to play a male role in public." Jane looked with much delight at the smiling children around her. So much joy and wonder, she thought. She smiled broadly at the boys and girls. Hello friends from ABC Wednesday. This post is for the Blogging from A to Z April 2018 Challenge. You can find the P post for ABCW here. "Now this is a career I do not want," said Jane Austen, Action Doll. "No, no, no!" Jane firmly drew the squeegee across the window. "I am simply filling in for a good friend. She is presently suffering from vertigo, the poor dear." "Thank goodness! The world knows I am not a villain!" exclaimed Jane Austen, Live Action Doll. She stood on the courthouse steps, tired and verily relieved that this whole nightmare of incarceration was over. "While in prison, I met women who chose to be villains. Career criminals, mind you. Some where in their past, they lost hope and faith in humanity." Jane shook her head. "They are very sad, miserable people. I cannot help but feel sorry for them. However I do not excuse them for their horrible decisions to victimize others." "If dear Tom Lefroy had not been my lawyer," Jane paused. She shook her head. "I do not want to imagine what my fate could have been." Jane looked up into the heavens. "Thank goodness my undercover role has not been undermined. Onward and upward!" "My dear friends," whispered Jane Austen, Action Doll, looking stealthily to the left and right. "I wish you to know about my secret job." Jane cleared her throat. "When duty calls, I go undercover as Authora! My power is mightier than the sword. Have quill will time travel." "Please keep it on the QT, I beseech you." "It's a beautiful day for a train ride," said Jane Austen, Action Doll, to the handsome long-haired passenger. "Do you enjoy being a train conductor?" he asked. "Verily," she said. "I am a substitute, working on weekends when the regular conductor is ill or needs to be absent." "Would you like to do it permanently?" "Perhaps, one day. I have other jobs," Jane said, with a twinkle in her eye. "Helping fight wildfires is part of my duties as a park ranger," said Jane Austen, Action Doll. "Being trained as an aerobatic pilot, I thought I'd be able to handle being a smoke jumper. Hence, when an opportunity became available, I signed up." "Fighting fires in the remote areas is very frightening. That's a good thing, I believe. At least for myself. It keeps me from doing disingenuous bravado things that could lead to injury or death of my teammates or myself." "I am truly in my element," exclaimed Jane Austen, Action Doll, walking along a path at the Pinnacles National Park, one of the newest parks in the U.S. National Park Service. "Being a park ranger is definitely my favorite job thus far." Jane took another deep breath as she looked around her. She threw her arms up in the air. "Delightful!" Hello friends from ABC Wednesday. This post is for the Blogging from A to Z April 2018 Challenge. You can find the O post for ABCW here. Quantum Leaper Jane has jumped in time to February, 1967. She is looking at herself, well, rather at 15-year-old Arrmac (the future husband of Su-sieee! Mac) in the bathroom mirror. She wants to make sure Arrmac looks good before the trombonist lines up with his high school marching band. If all goes well, Quantum Leaper Jane as young Arrmac shall avoid colliding into the behind of a policeman's horse as the band marches in the Chinese New Year Parade in San Francisco. "May success prevail!" exclaims Jane, picking up Arrmac's trombone. Note: Quantum Leap was a TV sci-fi show (from 1989 to 1993) in which physicist Sam Beckett, played by Scott Bakula, travels back and forth through time to help someone and fix a historical error. While he is in the other time, he temporarily resides in someone else's body. "Pearls are a girl's best friend," said Jane Austen, Action Doll, sitting on the edge of the small boat. She took a deep breath and dove back into the sea. Jane Austen, Oxymoron Phrase Analyst? "Oh, my," said Jane Austen, Action Doll, wiping chalk from her forehead. "I like the idea of doing an occasional silent scream in my rock garden. And, to take a mud bath as I consider an impossible solution sounds wonderful." "Who wouldn't love the image of a group falling into a deafening silence after hearing the idle gossip?" Jane set the piece of chalk down on the table. "It is a sure bet being an oxymoron phrase analyst is not for me!" Hello friends from All Seasons. This post is for the Blogging from A to Z April 2018 Challenge. You can find the post for All Seasons here. "Jane, dear, a walnut farm!" exclaimed Martha Lloyd. "Is it not grand, Martha?" Jane Austen, Action Doll, asked her friend. "What are you going to do with all the walnuts?" "Make walnut ketchup, Martha," said Jane, picking up her bucket full of nuts. "You know how much the family and I like walnut ketchup." "I'm all about that bass, about that bass," sings Jane Austen, Action Doll. "No treble." "This sweet fellow simply loves to dance," said Jane Austen, Action Doll, to no one in particular. She hummed The Sussex Waltz as the couple glided up and down the wooden floor. "He does come in handy when I do not want to dance with a chap. One look at this sweet fellow on my arm, and the chap runs away. I do not think Lizzie's Mr. Darcy would be such a coward." Hello friends from ABC Wednesday. This post is for the Blogging from A to Z April 2018 Challenge. You can find the N post for ABCW here. "What was it that dear boy said?" Jane Austen, Action Doll, asked herself as she rode the wave towards shore. nodded in agreement while others looked doubtful. "We only began calling these lovely things jellyfish in 1796, but they have been around for at least 500 million years," The Jellyfish Expert said. "Some of my colleagues believe that they are as old as the dinosaurs, possibly older. Imagine that!" Industrial inspector is merely another name for quality assurance inspector.I shall not be one for long. All this climbing in long dresses is rather cumbersome. Not to say quite dangerous. This job, however, is better than the alternative—an ichthyologist. Imagine me with icky fish. No thank you. As you know by now, I am not shy about trying different forms of dancing," said Jane Austen, Action Doll. "Exotic dancing was well and good, but after awhile I found no joy in it. Hula dancing of the Sandwich Islands is more to my liking. I do love wearing the fragrant flowers." Jane Austen, Action Doll, patted the granite spire before her. She admired its solidity and solitariness. "If rocks could speak, the stories they could tell us," she said. "Oh, and the scolding they might give us." "Dear me, where has my rock pick gone?"